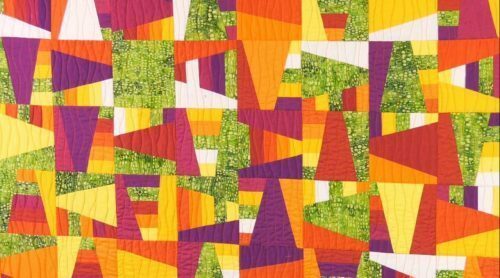 Valerie talks you through how to make this lovely two block quilt which could be from your stash or from pre-cuts. 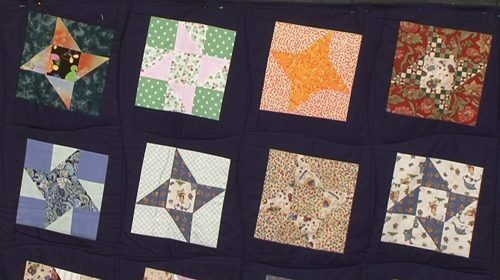 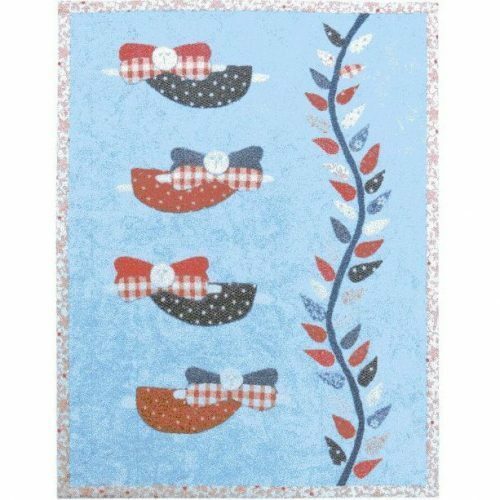 These laundy basket quilts do require some preparation, before you can start sewing and as well as talking you through how to make this two-block quilt, Valerie gives some suggestions as to how you could prepare your scraps. 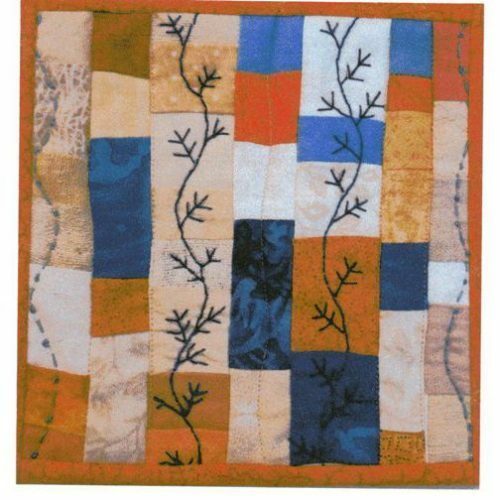 She likes to work with 2 ½” squares which are stored in shoe-boxes (well anything really!) 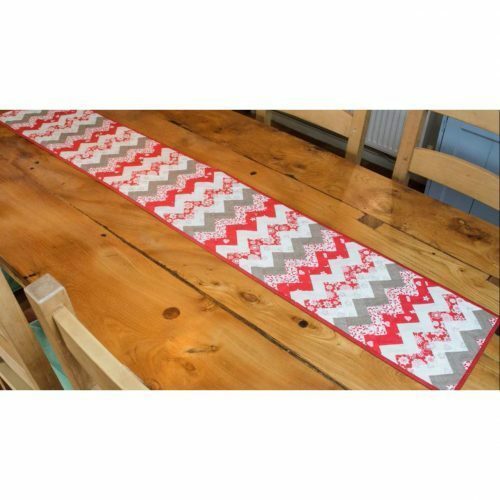 and give her versatility as to the pattern she works with without having to worry about measurements. 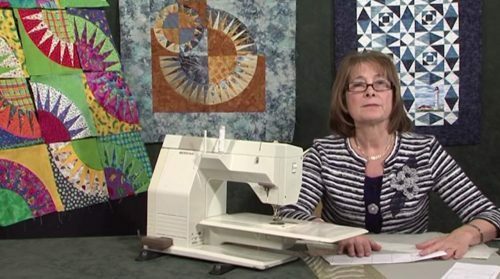 Pre-cuts work well too as these give the beginner a variety of fabrics instantly – obviously packs of 2 ½” squares are perfect, but don’t forget that the jelly rolls can also be cut up as can nickle square (which are 5″ – each one will give you 4 squares of the right size) and then of course you could go even bigger with the layer cakes – just depends what you have in your cupboard/stash to work with. 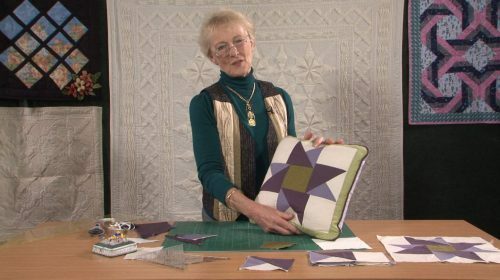 The 9-patch and snowball block obviously needs the addition of a background fabric, and Valerie shows you a couple of colour options to consider, and the first border acts to complete the star shape (just as we used on the Star Snowball in a previous workshop). 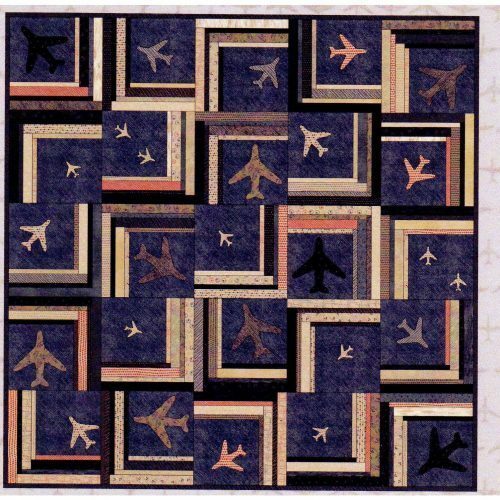 Valerie also discusses some colour themes that you might like to consider for another quilt!